This Thick Leather farming guide is made to help you farm Thick Leather. I decided to search for places with high density of mobs which I can skin and drop Thick Leather. I traveled around Azeroth, and after a while I made a list of places. The recommended skinning skill for farming Thick Leather is around 240. If you farm at these places with lower Skinning skill, you will get a lot of lower tier Leather until you reach 240. Before you go anywhere, clear your bags first. That’s because for skinning the animals, you need to loot them first. This means you will gather a lot of junk stuff filling your bags. Killing Bloodhounds in Blackrock Depths is the best place to farm Thick Leather. If you are level 85+ you can easily pull every Bloodhound. I didn't have a chance to try with lower levels but I think you should be at least level 75. One round takes around 6-7 minutes with a level 90 character, and you will get around 50 leathers. Important! Don't kill the mobs one by one, but also don't pull the whole instance because the mobs will start despawning before you can skin them. You should do the instance in at least two pulls! To get to Blackrock Depths, enter Blackrock Mountain from either southwest Searing Gorge or northwest Burning Steppes. If you enter from Searing Gorge, climb up on the giant chain that appears to your left and go down onto the big rock suspended in the center. Follow the stairs down and exit downwards onto the chain at the bottom. The quest giver for MC attunement is straight ahead and a passage leads right to get to the instance. Bear left in the cave and the instance is at the end of the chamber. 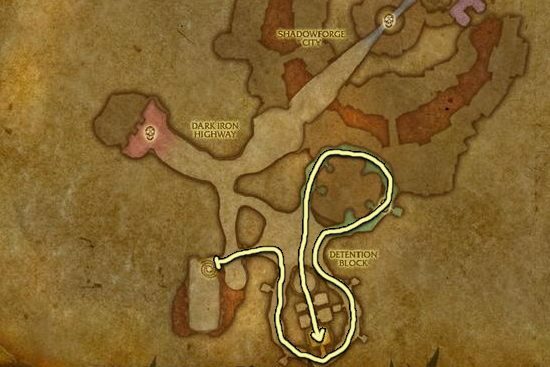 Here is a picture if you still don't know where to find the cave in Blackrock Mountain where the instance entrance is. After you cleared the instance, run out, then you have to reset it by right clicking over your own portrait, and then click the "Reset Instance" button. This restarts the whole instance, and all mobs will be back. You can only do 10 instance runs in an hour. I didn't have a chance to try with lower levels but I think you should be at least level 75 to solo this instance. The entrance is in the Swamp of Sorrows, Eastern Kingdoms. Look for the Temple of Atal Hakkar on the map, it's in the middle of the large body of water if you haven't explored yet (69, 54). Go to the top of the temple first, then you have to go under water. Important! 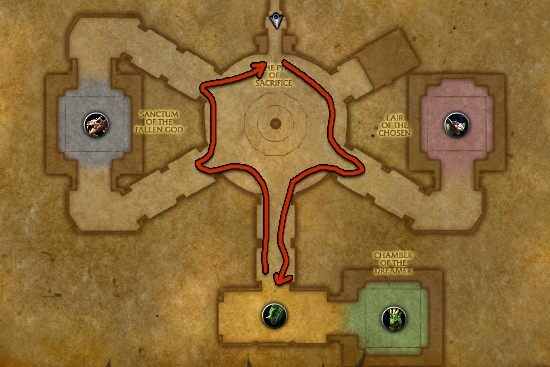 Mobs will start despawning before you can skin them if you pull the whole instance, so you should do the pull in two parts! I usually pull everything until the dragon bosses, then pull the rest on my way out. One run takes 4-5 minutes, and you can expect around 60 leather each run, but half of that will be [Rugged Leather]. 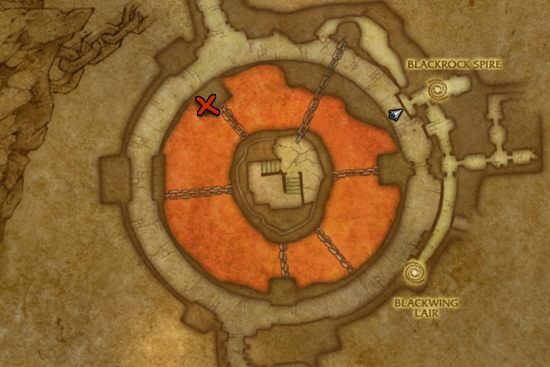 The best place to farm Thick Leather is in Badlands if you can't farm Blackrock Depths. If you kill Nyxondra's Broodling near New Kargath, you will get Thick Leather 90% of the time. They are only a few feet apart from each other and they will respawn before you clear the area. Another good place is in Un'goro Crater. The Ravasaurs there drop the same amount of Thick Leather as the whelps in Badlands, but they are far from each other and it's a bit harder to kill them. These are my favorite places for Thick Leather farming. Contact me if you have other great farming spots! Visit my Rugged Leather farming page when you have enough Thick Leather!